It’s beginning to look a lot like everyone’s favorite time of year! For many, spending time with loved ones is a priority. At Lincoln, we aim to help you build a comfortable life in our communities. 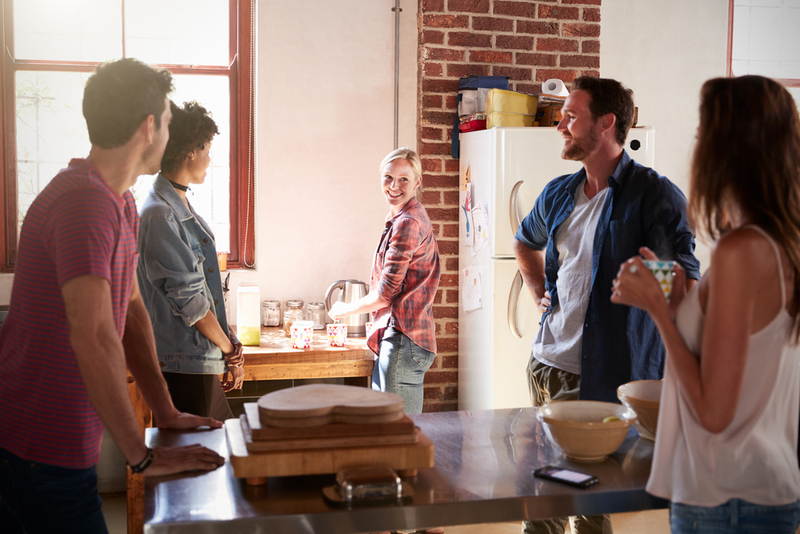 From reorganization to setting up designated spaces, hosting a get-together for your friends and family during this special time can be easier than you think. Here are four tips for throwing a small soiree in your apartment. Rearrange the room: Put your furniture along the walls to create open space in the middle of the room. Use this center space to set up tables and enough seatings for each guest to comfortably find a place. If you have large vases, statues, or end tables, move these to another room to free up any useful space. Try not to stack large, heavy pieces on top of each other to avoid any potential accidents or broken pieces! Manage Traffic: Instead of having all of the food, beverages, or favors in the same area, spread them out into different spaces in the apartment. Have a drink station in the kitchen in case of spills, snack trays on the kitchen table, and napkins/favors on the coffee table. With everything having it’s own designated place, people can move freely from station to station and avoid overcrowding in one area. Use Labels: From drink name tags to a sign directing where the coat closet is, having clear and direct labels are the perfect way to stay organized and avoid any confusion. Choose themed place settings for the tables or hang an easily-readable sign pointing towards the bathroom. By having everything laid out and easy to see, you can spend more time mingling with your loved ones. Condense – Cut down on extras to save space and time! For example, instead of having an overcrowded drink station, create one or two signature cocktails and serve in a pitcher. Alternatively, if you have similar snacks, such as berries, place these together on a dish or tray to cut down on how many dishes you dirty up. Are you looking for a special apartment community to call home? Contact us today to learn more about Lincoln living!